1970 saw the happenings of many things including the voting age being lowered from age 21 to age 18, gas prices rising to 36 cents per gallon, and the Beatles breaking up. 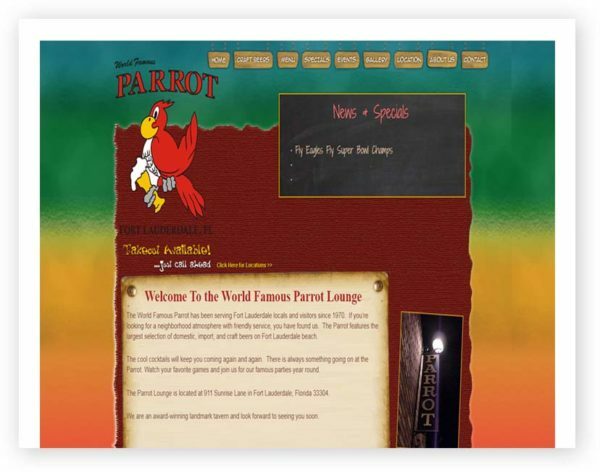 1970 was also the year that the Parrot Lounge opened its doors in a small beach town in South Florida called Fort Lauderdale. Many things have changed in the 42 years since the Parrot first opened, including Bill Boyd (who originally opened the Parrot) giving way to Tim Schiavone who has owned and operated the business since the late 70’s until the present day.